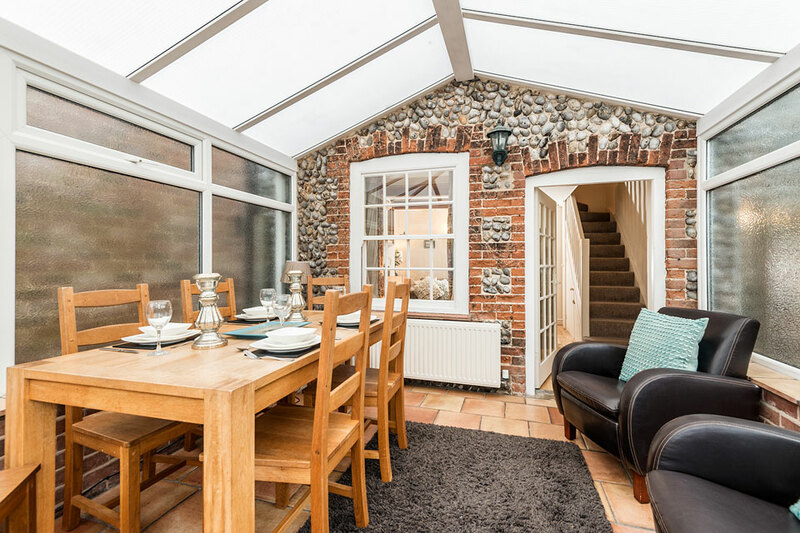 Built in the traditional brick and flint style of many old Norfolk coastal properties Rectory cottage dates back to at least the 1800’s – consequently, some of our taller guests might find the ceilings and doors a little lower than they may be used to! 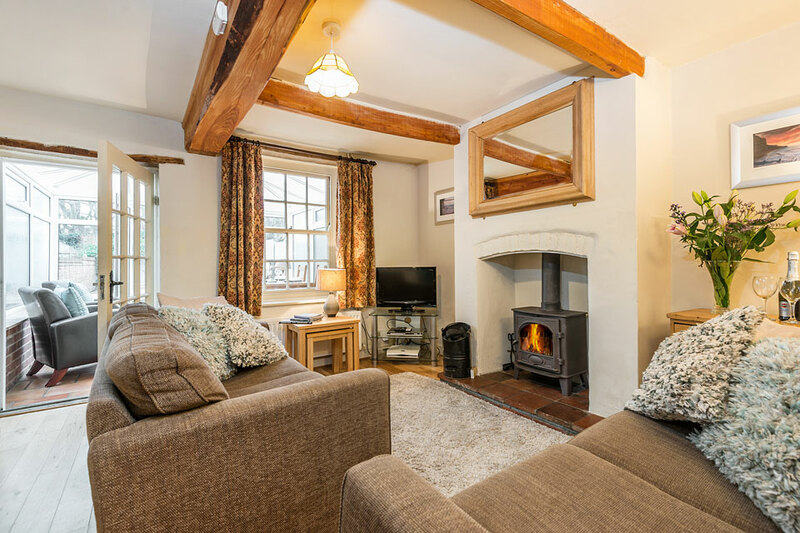 That said, visitors love this cosy cottage with its warm and welcoming atmosphere. 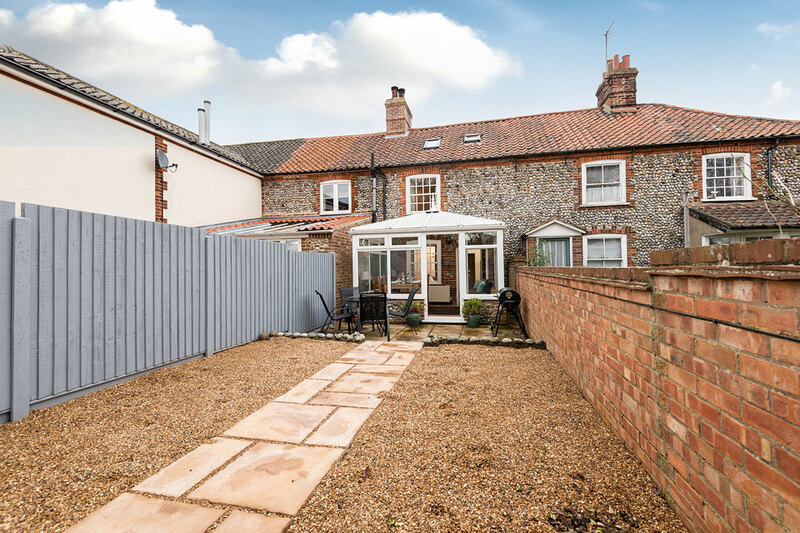 Wonderfully placed in the centre of Overstrand you are just a few minutes’ walk from the sea, shops, pubs and restaurants. 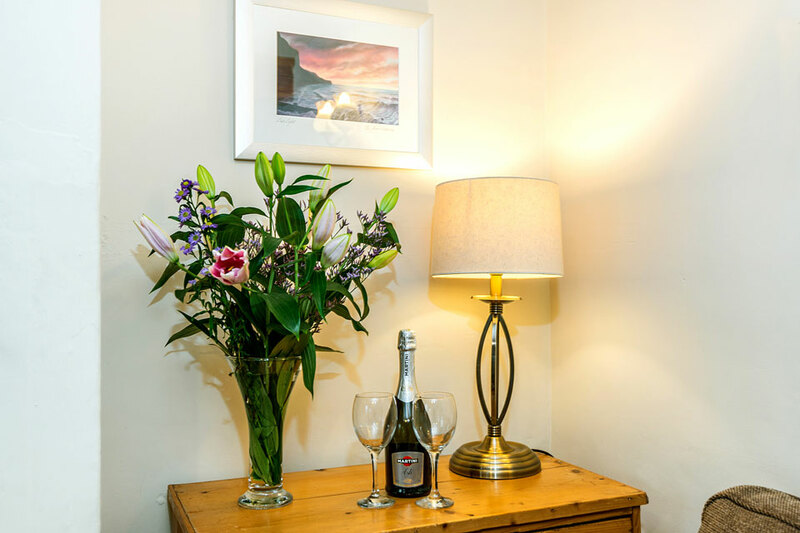 Entering from the small front courtyard so common of Norfolk fishing cottages you’ll first find the pleasant kitchen with its fully fitted wood units, oven, Hob, microwave, fridge/freezer, dishwasher & automatic washer/dryer. 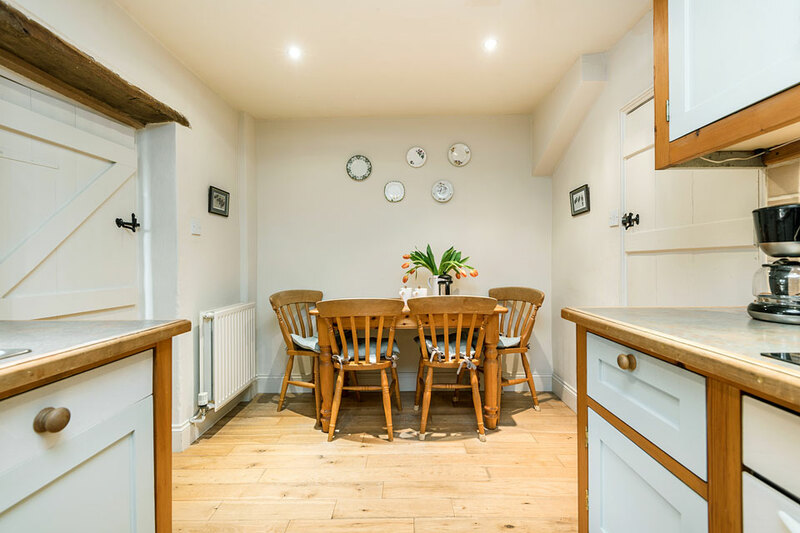 Unusually the kitchen also has a feature fireplace which many years ago would have held a traditional cast iron range for cooking on. 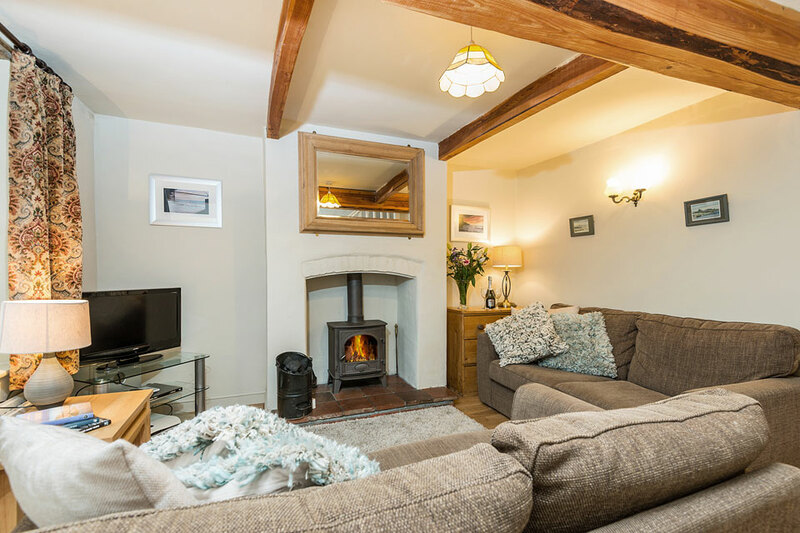 The main living room is a snug retreat with its wood burning stove, exposed beams, polished wood flooring and two comfortable sofas. 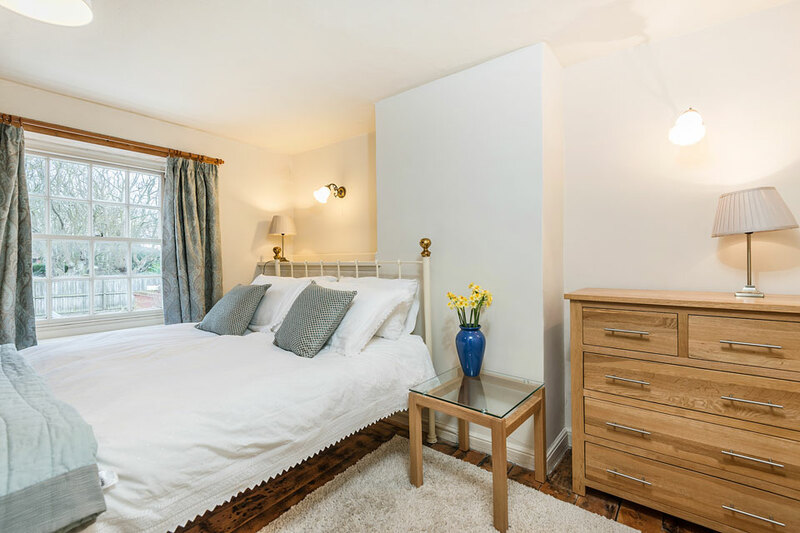 Although you might be very happy simply curling up with a book and a cup of tea more modern entertainment is provided by the digital television and DVD player. 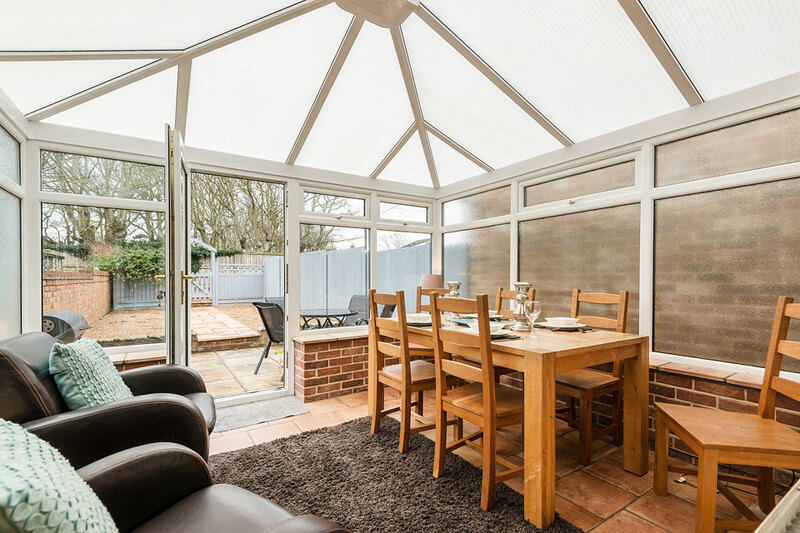 Also on the ground floor is the wonderfully airy conservatory diner with its oak family dining table, casual seating, traditionally tiled stone floor and access to the back garden – just the ticket to enjoy a hearty breakfast or some summer cooking with a glass of wine! 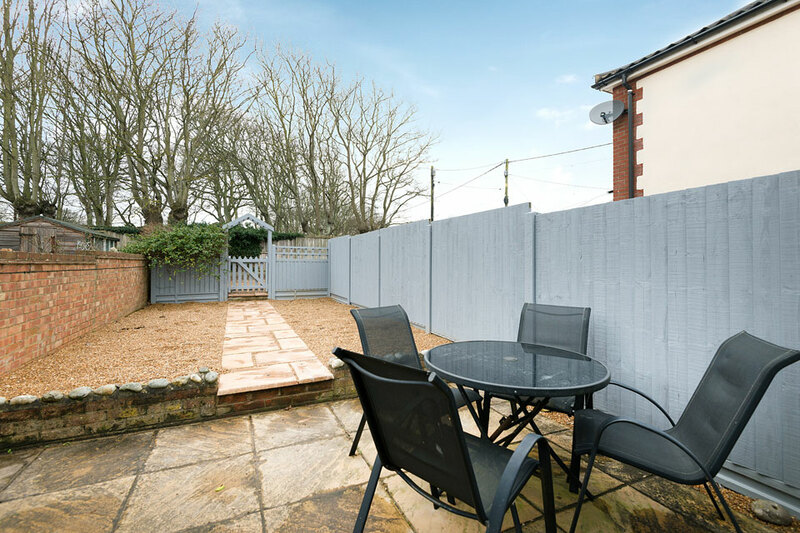 Speaking of which you’ll find that the charming little enclosed garden & patio to the rear of the property come complete with outside furniture and a BBQ for your use. 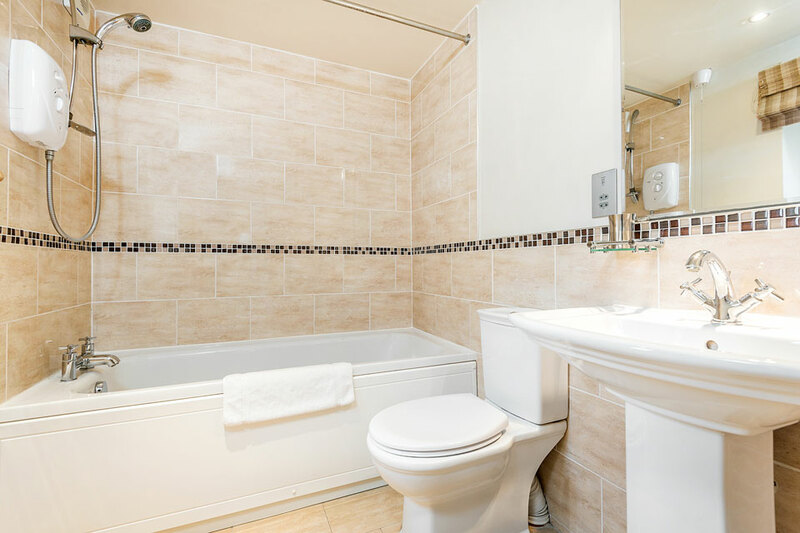 Lastly downstairs is the attractively decorated bathroom with bath, shower, WC and wash basin – the sandstone tiling and detailing has a touch of the Roman bathhouse about it! 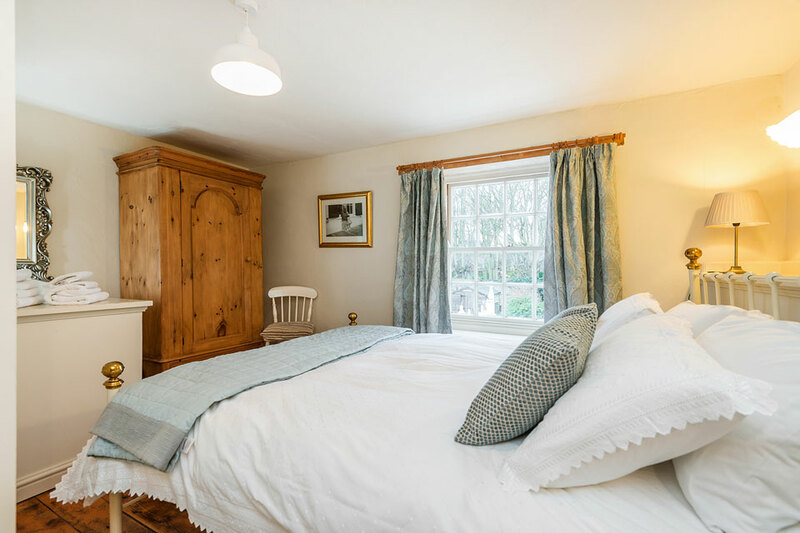 Upstairs you’ll find two excellently appointed bedrooms – both of which have polished wood flooring, warm rugs and some lovely examples of pine furniture. 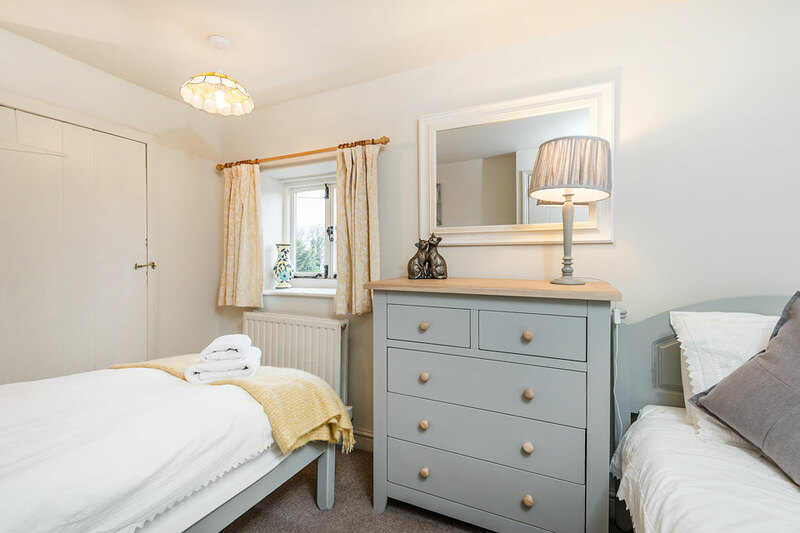 The master bedroom features a rustic style king-size bed whilst the second bedroom has two very comfy twin beds – easily suitable for either two adults or two children sharing. Finally, the spiral staircase on the first floor leads up to a compact attic room. 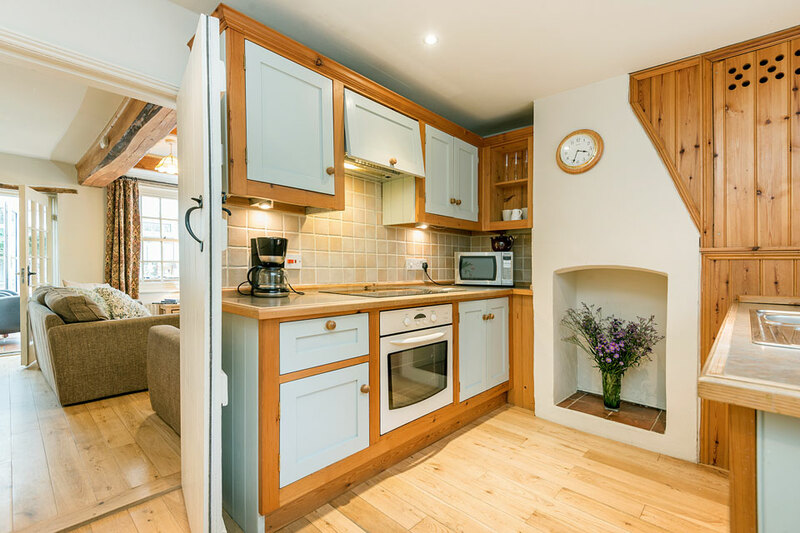 Although the headroom is reduced by the exposed beams this has been ingeniously turned into a second mini-living room, complete with bean bags and television – Older children (you may not want to let younger children negotiate the spiral staircase!) will find this a terrific place to escape the adults for as long as they like! 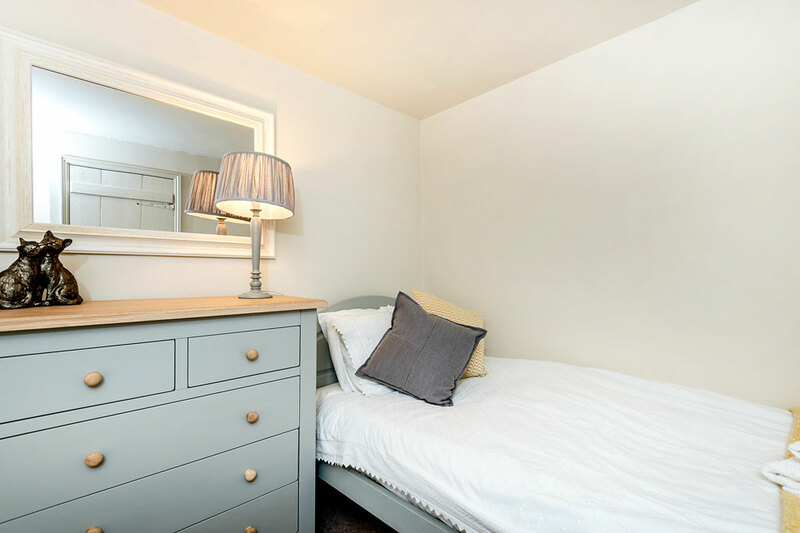 Read our information page on Overstrand.